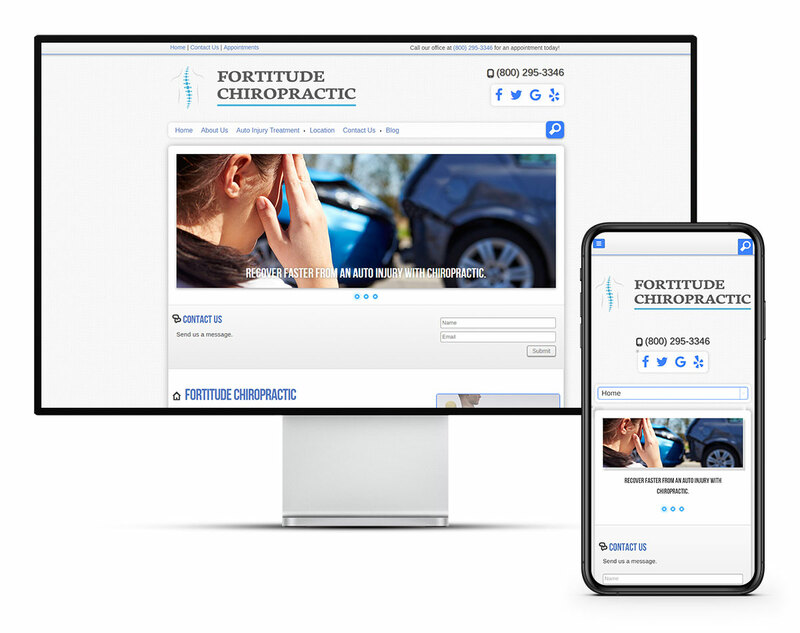 Connection features a call-to-action contact form that makes it easy for patients with auto injuries to get in touch with your chiropractic office. 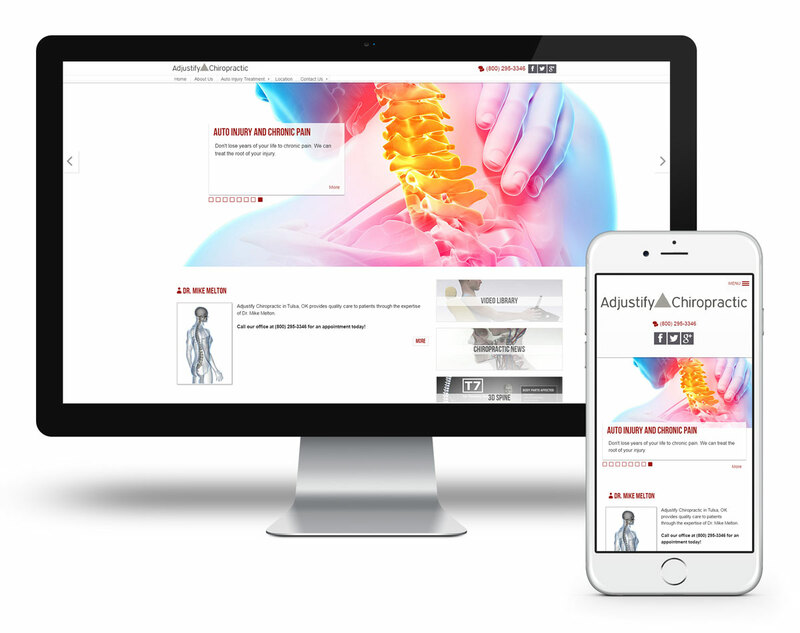 Adjustify is a modern design with a full-width image slider that clearly features all the ways your chiropractic care helps patients recover from auto injuries. 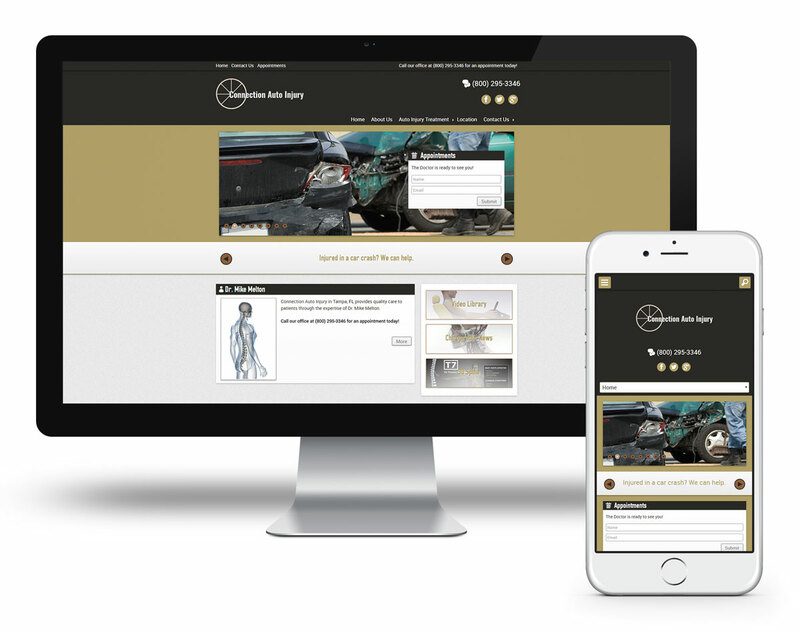 Resolution is the perfect website design for the chiropractor looking to educate potential patients on the many ways chiropractic can help in recovering from an auto injury. 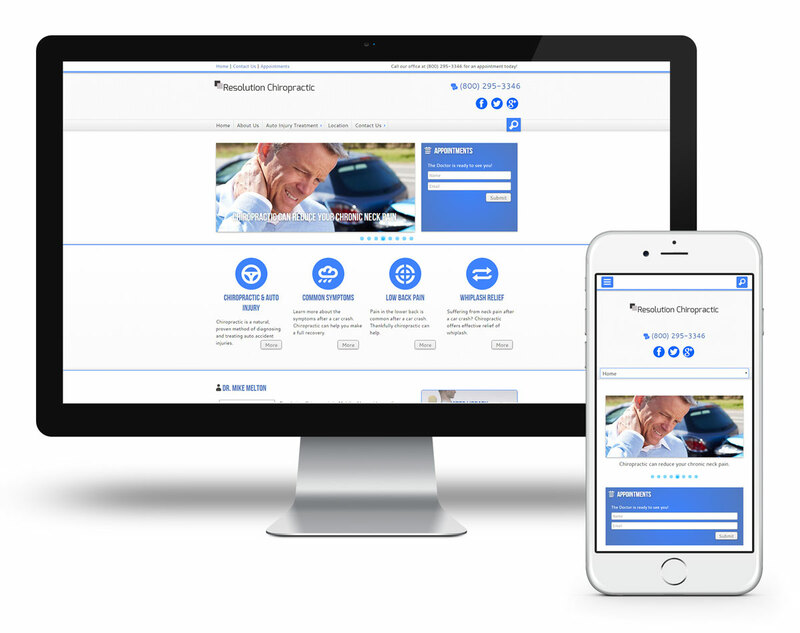 Fortitude uses a traditional column design with a simple contact form as an easy call-to-action. 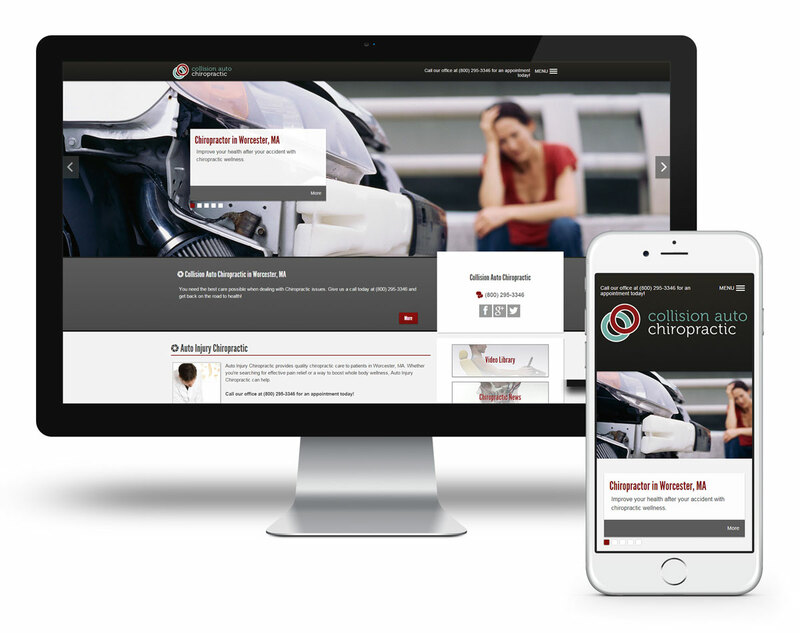 The editable slider makes it easy to highlight the auto injuries that you treat with chiropractic care.